Thanks to just-in-time inventory management practices, speed of delivery and readily available product distribution, the backroom of your typical retailer has steadily shrunk over the last decade. This is true for clothiers, fast food, and most other retailers looking to maximize profits and utilize the space to effectively support front end marketing strategies. That said, effectively utilizing the backroom is a delicate balance that can make a huge difference in profitability across a portfolio. Retailers are constantly making adjustments to their backroom operations. 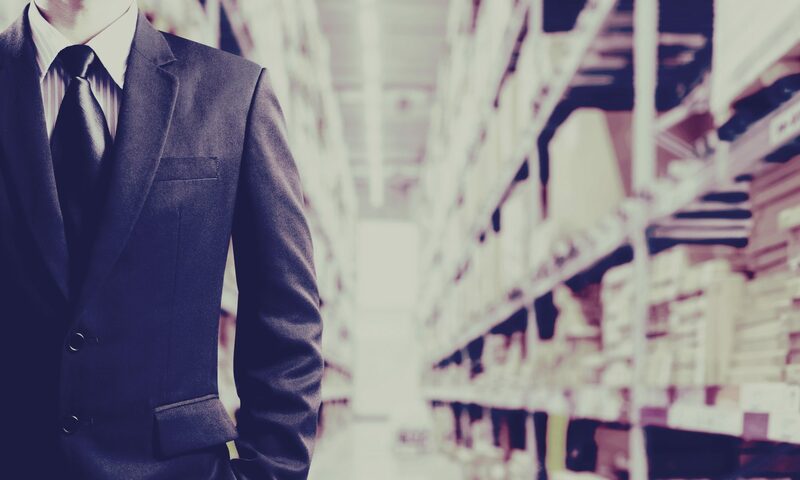 Below I’ve condensed some facts and figures from a recent article by Supply Chain Quarterly (SCQ), my own experience and a few other sources in order to explore the backroom of today’s retailers. As available backroom space for inventory increases, the profits increase to a certain point and then profitability begins to fall off quickly. In the example provided by SCQ, a 1,500 square foot retail store can increase its profits by $300,000 just by increasing its backroom size from 75 to 150 square feet. They go on to explain that a general rule of thumb for backroom size should be approximately 5-10% of the total space to maximize profits. If too much space is taken in the back, there is less space to sell product in the front. On the other hand when space is limited in the backroom, customer service, available products and organization will suffer. There are other costs that play into the balancing act retailers encounter in backroom operations, such as labor, equipping, occupancy costs (e.g. rent, utilities, and maintenance), system for organizing and maintaining inventory, inventory holding costs, and in many cases expiration or useful life of perishable goods. All of these costs and systems factor into how a product is packaged, distributed and sold. Inevitably, the size of back end space will vary from store to store so it is important that suppliers are communicating effectively with store personnel and corporate when it comes to determining pack size. By determining the correct pack size upfront, each store is able to balance space allocation/demand and replenishment more effectively. Packs usually come from a supplier in an “order size” pack which is a larger bulk group that is more easily transported. Once delivered, the order pack is broken down into smaller “storable packs” that are allocated on the shelves or storage spaces in the backroom. As storable packs are received, they are also added to the inventory as another SKU competing for inventory space. It has been found that smaller storable packs lead to improved utilization and increased profits for using the same volume of space. Some SKUs in the backroom will be ready to hand to customers or they may need to be combined with other SKUs to create a finished good. Think Snickers bar vs. cheeseburger. Additionally, there are SKUs that are considered essential to the business (e.g. bread dough for Pizza Hut or coffee cups for Starbucks). “Essential SKUs” could include signature items or fundamental ingredients to making products and need to be given priority space. In the last few years the front/back end model has been shaken up due to demand for omnichannel capability. Stores are now required to anticipate or be ready for a customer to order online and pick up in store, deliver or facilitate in-store purchases without skipping a beat. The problem is that online orders for delivery or pick-up may have a different product demand than customers shopping in-store, which makes prioritizing backroom shelf space a major dilemma. Panera Bread has added new channels like drive through lanes, Rapid Pick-Up and delivery. The placement for Rapid Pick-Up is placed in the customer area to eliminate cost of counter space and need for store personnel to fetch orders. Companies like IRSG work with retailers to observe how hanging, folded and boxed merchandise is handled from the backroom to the sales floor while getting feedback from the store employees. From there they provide an assessment and suggested actions on how to streamline the process. In some cases, backroom activities are pushed to the distribution center or 3PL. For example, the cardboard displays you see in the aisles at Walmart and Target are typically picked and packed at the distribution center and brought directly to the sales floor. In either case, “overflow inventory” or safety stock will become less acceptable as you get closer to the front end of the supply chain. Retailers are beginning to recognize this and sharpen their in-store implementation practices. Sloppy just costs too much. Previous PostPrevious 4 Reasons “The Maker Movement” Will Redefine Traditional Manufacturing in the U.S.